“Now we’re on a tangent,” Alexandra Sholler says, before continuing on the same side note. 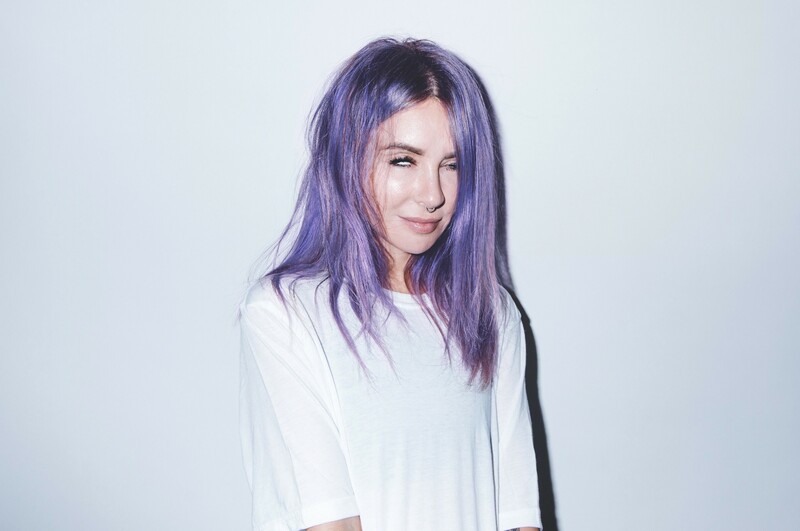 Sholler, who produces and DJ’s under Alison Wonderland, is as go-go-go IRL as she is on stage. Her honesty-is-the-best-policy shtick is true. She’s just landed back in LA, her new ‘home’ – though she adamantly still calls Australia home, and on that note she steps into fifth gear again, “I miss home so much, I miss the coffee, I miss my family, I miss the weather, I miss the food, I miss the people, I miss Australians.” She doesn’t pause. Sholler will be home soon enough when she brings her Awake tour to Australia at the end of November. Sholler is a swirling-derbish of energy and influences. It shows in her output of doom-strings and killer sets. “A lot of remixes I do, and a lot of the undertones in some of the music, you’ll hear strings. I like to write a lot of strings”, she emphasises. Sholler is a classically trained Cellist. In her live set for the new record Awake, you’ll see her play Cello in the flesh and then you might hear verses from trap legend Chief Keef. These are the incongruities you can come to expect. She admits she’s a massive fan girl and can get awkward. Especially when she met artist/producer Hudson Mohawk. “I’m obsessed. Hudson Mohawk is the reason a lot my beats are the way they are”. Sholler even has a TNGHT tattoo – the Hudson Mohawk and Lunice super-duo – though she resigns to the fact that she would never want to work with ‘Hudmo’. It’s that honesty that has won many fans and doesn’t waiver. Not once. And then she steps on stage, and she combusts. Check her set and see for yourself at The Forum in Melbourne on Saturday November 24.